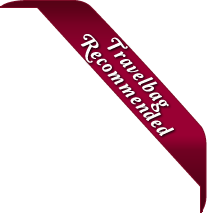 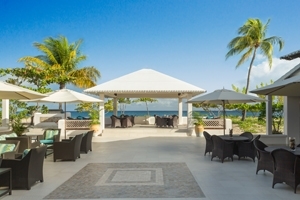 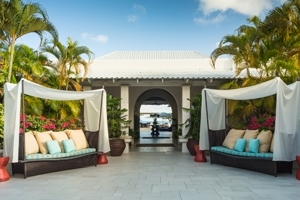 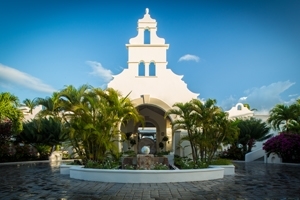 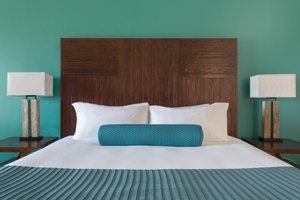 A family-run luxury boutique hotel committed to ensuring your every need is met, Spice Island Beach Resort is considered one of Grenada’s foremost resorts. 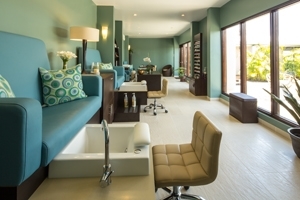 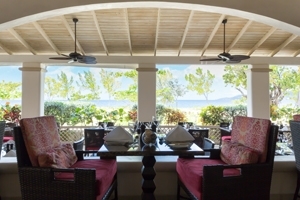 Renew your mind, body and soul as you relax in your lavishly-appointed Suite, many of which open out onto the golden sands of Grand Anse Beach, feast on gourmet cuisine in the tempting Oliver’s Restaurant and indulge yourself with one of the many spa treatments available to guests in Janissa’s Spa. 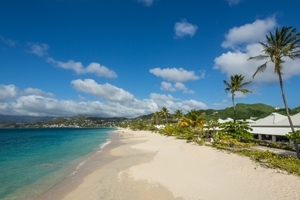 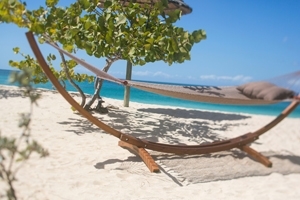 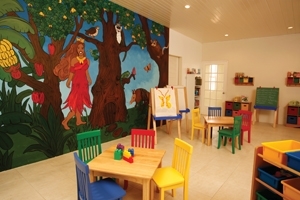 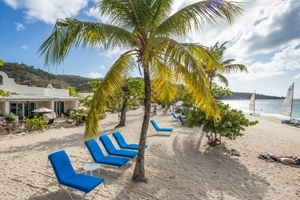 Spice Island Beach Resort is located in the south-west of Grenada. 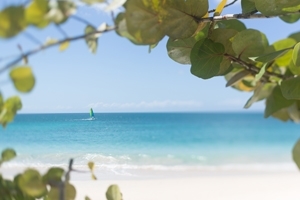 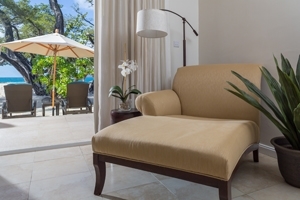 Spice Island Beach Resort offers elegantly-appointed suite accommodation, each decorated in contemporary Caribbean style and lavished with generous amenities, while many open out directly onto Grand Anse Beach. 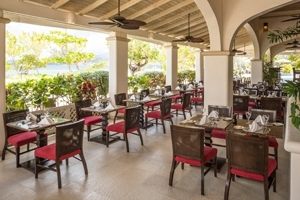 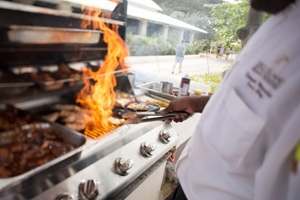 Utilising the spices and flavours that make Grenada so renowned across the world, Spice Island Beach Resort’s gourmet Oliver’s Restaurant offers an exceptional fine-dining experience, whether you’re sitting down to breakfast, lunch and dinner. 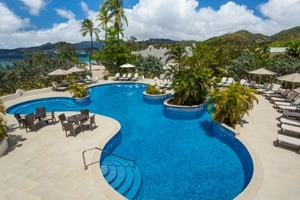 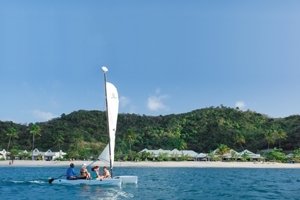 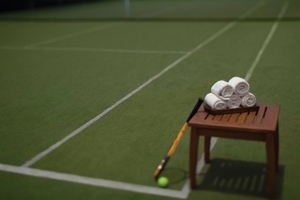 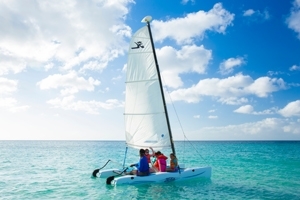 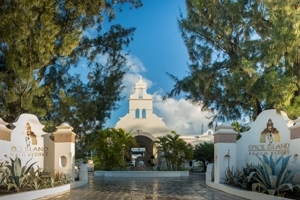 Guests staying at Spice Island Beach Resort can also take advantage of the excellent all-inclusive facilities, including golf (nearby), scuba diving and swimming. 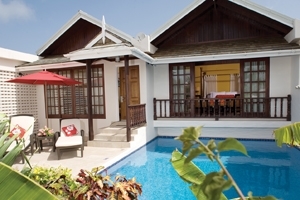 The Oleander Garden Suite at Spice Island Beach Resort is located only a short distance from the golden sand beach and enjoys marvellous views across the lush tropical gardens. 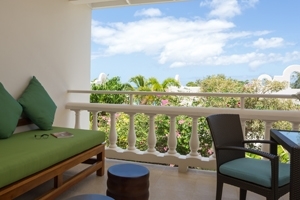 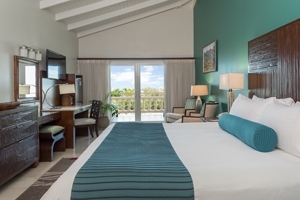 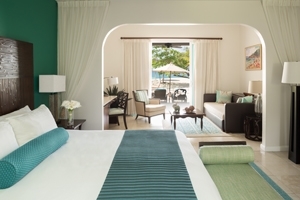 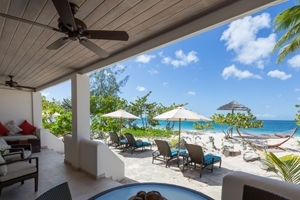 The Oleander Oceanview Suite at Spice Island Beach Resort enjoys striking views across the sparkling Caribbean Sea and St. George’s Harbour from the private balcony. 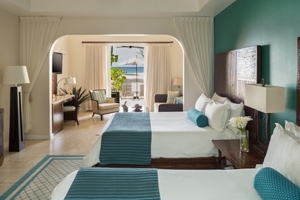 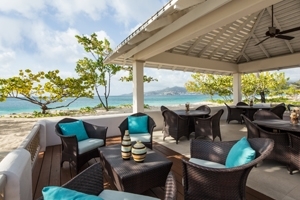 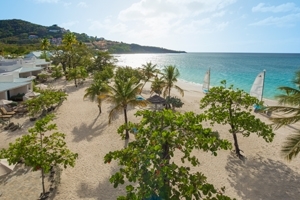 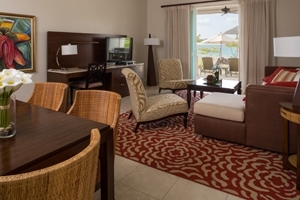 The Seagrape Beach Suite is located on the ground floor for direct access to the golden sands of Grand Anse Beach. 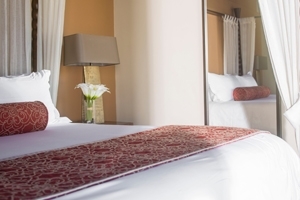 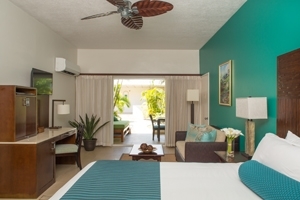 This contemporary suite choice includes a separate sitting area, a large whirlpool tub and a private garden equipped with a double hammock and chaise lounges. 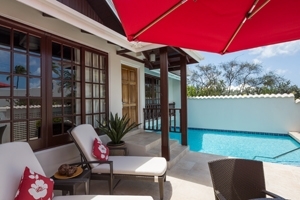 The Anthurium Pool Suite at Spice Island Beach Resort is an ideal choice for a romantic retreat with its private entrance, personal gardens and 12x16 plunge pool. 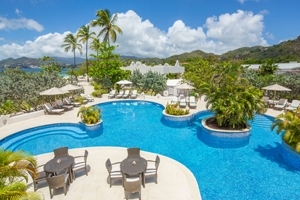 The Luxury Almond Pool Suite at Spice Island Beach Resort features its own private entrance and tropical garden, plus an outdoor dining terrace and 16x20 swimming pool. 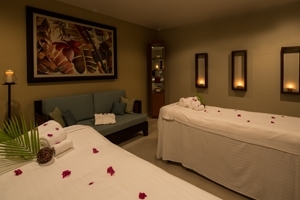 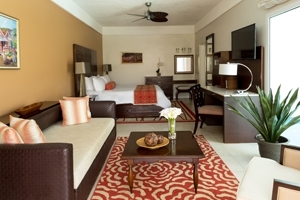 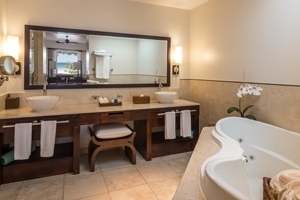 The Suite features contemporary Caribbean style, while a standard whirlpool bathtub enhances the romantic atmosphere. 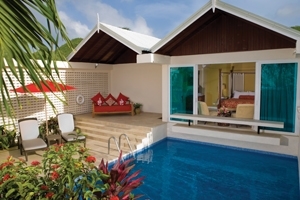 The Royal Collection Pool Suite at Spice Island Beach Resort is a 140sqm villa offering the epitome of a honeymooner’s dream with its Cedar Sauna, 16x20ft swimming pool, private gardens, a sumptuous living room and a lavish bathroom with a luxurious whirlpool tub. 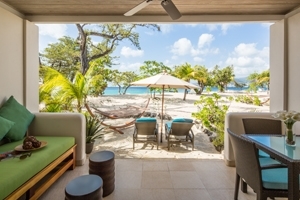 The Cinnamon Suite at Spice Island Beach Resort offers direct access to Grand Anse Beach, a spacious living area and top-of-the-range technology, including a 42-inch LCD Television and a Bose Lifestyle Entertainment System. 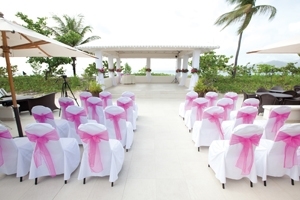 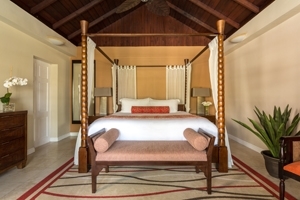 Furnishings include a dining table for six, a lavish living room with a wet bar and a master bedroom with a sumptuous four-poster canopy bed, while the contemporary Caribbean décor enhances the sophisticated atmosphere. 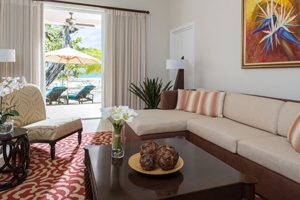 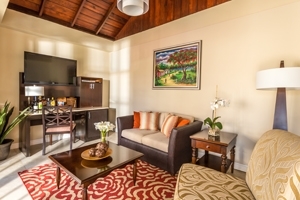 The Saffron Suite at Spice Island Beach Resort offers direct access to Grand Anse Beach, a spacious living area and top-of-the-range technology, including a 42-inch LCD Television and a Bose Lifestyle Entertainment System. 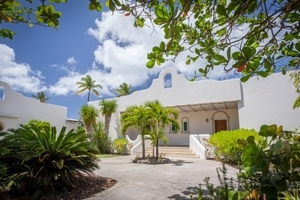 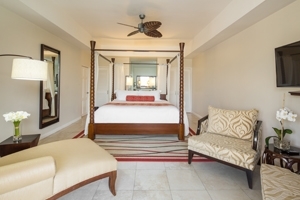 Furnishings include a dining table for six, a lavish living room with a wet bar and a master bedroom with a sumptuous four-poster canopy bed, while the contemporary Caribbean décor enhances the sophisticated atmosphere. 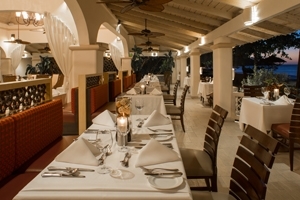 Oliver’s Restaurant – Exquisitely prepared Creole and international cuisine showcasing the finest in local flavours, including the spices that give Grenada its hallowed reputation.